On Sister Wives Season 13 Episode 10, the family finally made their move to Flagstaff, and there were some big twists in store for them. On Sister Wives Season 13 Episode 9, Kody set out to plan his giant polygamist house, and loved all the ideas, but which did he choose? 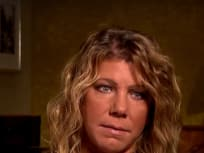 On Sister Wives Season 13 Episode 8, Meri was blindsided when the family wanted to learn more details about the bed and breakfast, but who was against it? 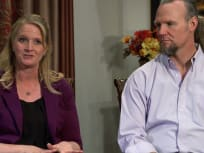 On Sister Wives Season 13 Episode 7, Aspyn and Mitch finally got married, but what issues did they come across on their big day. Find out on "Aspyn's Royal Wedding." On Sister Wives Season 13 Episode 6, Kody blindsides his wives by showing them some of the options in Flagstaff, but who actually liked them? 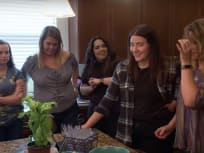 On Sister Wives Season 13 Episode 5, Christine and Meri tried to recover the fun relationship they had years before, but who was not impressed? On Sister Wives Season 13 Episode 4, Aspyn went wedding dress shopping, while Kody made a huge decision about future family events. Was he not paying any longer? 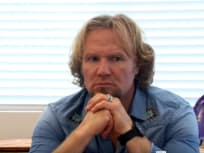 On Sister Wives Season 13 Episode 13, Kody revealed he wanted well away from his family after a very public argument, but who was to blame for all of it? On Sister Wives Season 13 Episode 2, Meri found the money to start her B & B on her own, but it rubbed her sister wives the wrong way, leading to another argument. On Sister Wives Season 13 Episode 1, Meri's offer is accepted, but she didn't have enough cash to complete the deal on her own. What did she do to get the upper hand?